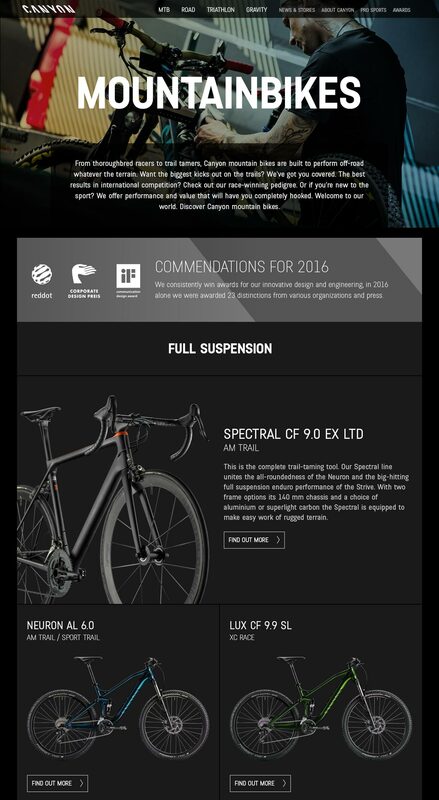 Canyon is a renowned German bike manufacturer that sells direct-to-consumer via their website. 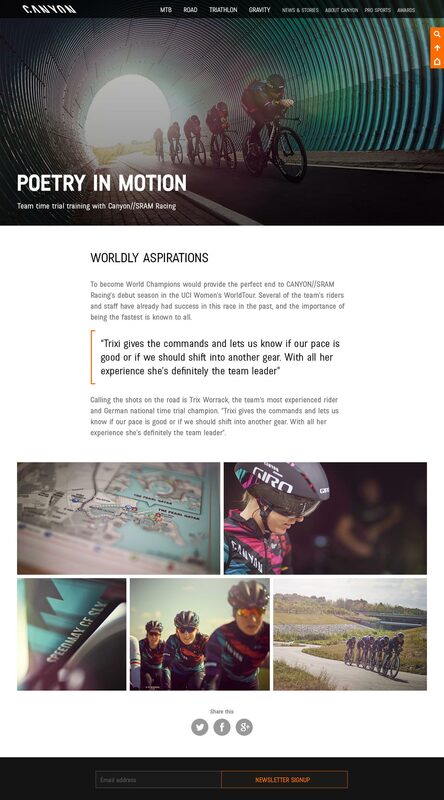 Opening in the US late summer 2017, we needed to create a teaser site that would generate a buzz in the US cycling community prior to launch. 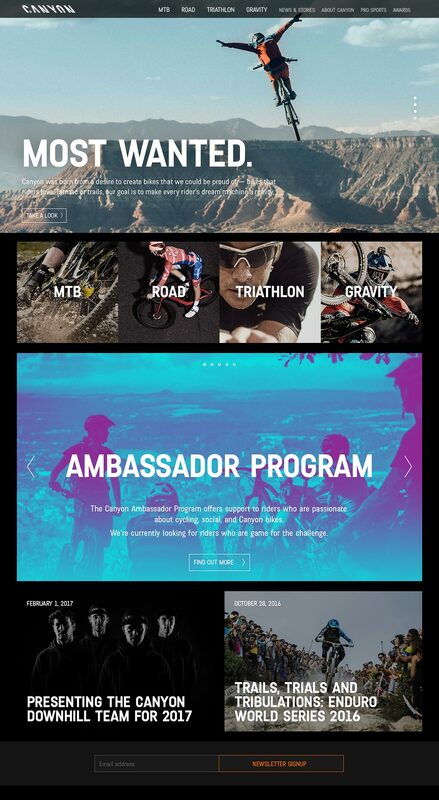 A parallel function of the site was to get Canyon USA noticed by search engines so that come opening day, the new e-com site is already at the top of related search rankings. We harnessed the power and flexibility of the Bootstrap HTML/CSS/JS framework to deliver a stunning mobile-first experience. 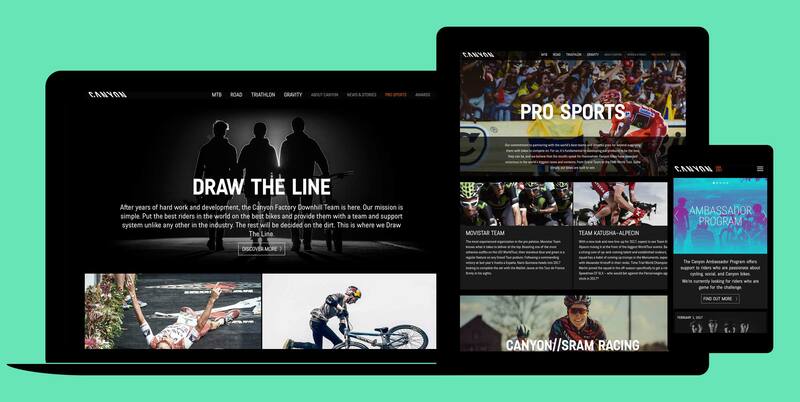 To make things easy for content creators and editors, we modified the WordPress back-end with user-friendly custom fields, offering a wide variety of layouts and on-brand styling options that require no knowledge of HTML. 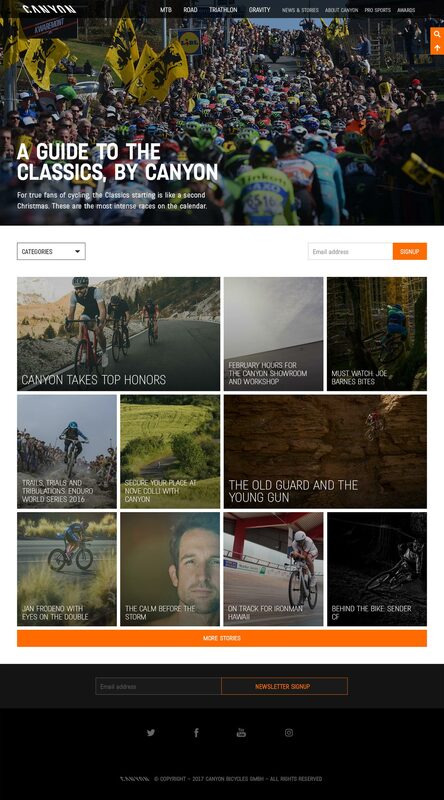 Visit the Canyon USA site.